Since I'm not a techie, I don't understand all of the report, but it seems that there are some fairly simple things that we can do to improve our site's visibility. Some of them, such as including metadata, can be done at the webmaster level, but the rest of us can contribute by highlighting SVR at social ranking sites such as Digg, StumbleUpon, Technorati, and Delicious. If you are a user of one of these pages, please index SVR's homepage and rate it highly. Our Societas welcomes new blood, but prospective sodales need to find us in order to join. "Domain name submission to 14 established search engines, quarterly search engine position and ranking reports for eight keyword/phrase listings from 14 major search engines." While we are on this subject. I wish to bring up an aspect of SVR of which all Sodales should be aware. The cost of maintaining SVR is not much, it is just a matter of who shall pay when costs arise. When we moved to iPower Locatus was gracious enough to pay the fees. Then, to keep the site up after a disruption when our iPower contract expired, initially I paid the cost and then Tergestus and other members of the Curia contributed. When we moved to Cynico Marius paid for the new domain name (I think it was about $35 US), and then Marius covered a quarter of our annual subscription and I the other three-fourths on a total of $120 US. SVR is a volunteer organization. We depend on our Sodales to contribute material for our website, of which we could use some more. We have also relied on Sodales contributing in other ways, whether it is a little work or, at times, towards the cost of keeping SVR running. While our boards have remained generally open to others, remember that to be a Sodalis requires that you do contribute in some way to SVR. What we ask most is that you contribute time and effort, and this would include in promoting SVR to others. Since I now have a steady income, I would be able to contribute a little bit in SVR's maintenance costs. As for time, I do not have much, but I intend on restarting the Ludi Societatis and see if there's any interest in it. > ...I intend on restarting the Ludi Societatis and see if there's any interest in it. Mi Iohanne, your sensible request got ported along with its firstfruits: There is now a Comitia --> Aerarium Societatis topic. Last edited by Aldus Marius on Wed Aug 29, 2007 9:18 pm, edited 1 time in total. I have since received information that this service, like many others of its kind, is a scam. Not that I was going for it anyway. This may sound retro, but I've never been into popularity for its own sake. I prefer making ourselves known directly to like-minded others, face-to-face if possible, by word of mouth otherwise. I think prospective members who find us by such means are more likely to stick around, and even contribute, than people who just tripped over us on their way to a virtual nail salon. Couldn't agree more with what you said. Besides, I doubt a lot of those advertisements actually help because a lot of people I know have AdBlock installed. I installed it only recently and being able to visit sites without all the annoying promotions, banners, etc... was very enjoyable. Nay to advertisements, yay to visitors! Dunno about metadata, but I'm good for page titles and "ALT" tags for the images. "Titles" are what you see in the title bar of your browser window. An ALT tag is a short text description of the image that, in some browsers, pops up when you hover the cursor over the image. Text-only browsers and voice-reading software can 'see' them. Search engines can too. The Outpost has 'em; the SVR site did not...until this morning. The Collegia section is a project unto itself; it and its subpages have by far the most illustrations. They're next. "Titles and ALT tags, mi Mari? That's it??" Several months ago I did the Webalyzer analysis on the SVR site, and then (just for kicks and grins) did one on the Outpost too. I was shocked by the results: The SVR site was visible to only 20% of potential visitors and their search engines; the Outpost, 80%. I could just hear the cries: "You've been holding out on us, Mari!" Mortified, I tore at my hair and rent my garments, and sat in a heap of ashes for several days while meditating upon the following conundrum: What am I doing for the Outpost that I'm not doing for the Societas?? The Outpost is far, far from being a Web-code showcase, unless your HTML museum has a Neolithic wing. But it does have descriptive page titles and alt tags for the pics. I guess that's the difference between inheriting a site and building one up from scratch. So--I'm bringing our humble Pages up to frontier milspec. I am pleased to report that our site ranking has risen from 20 a couple of months ago to 39 now. We're catching up with the Outpost, which pulls a rating of 45 on its current server this month, and 15 on its yet-to-be-unveiled new domain, romanoutpost.org (hosted by noster Octavius, natch!). "A website grade of 42/100 for http://www.societasviaromana.net means that of the hundreds of thousands of websites that have previously been evaluated, our algorithm has calculated that this site scores higher than 42% of them in terms of its marketing effectiveness. The algorithm uses a proprietary blend of over 50 different variables, including search engine data, website structure, approximate traffic, site performance, and others." Do you have a banner ad? I can put it on my websites. looks good. Needs to be small like the 3rd one. I recommend SVR to my friends, though most of them seem busy enough with whatever other sites they are already on. 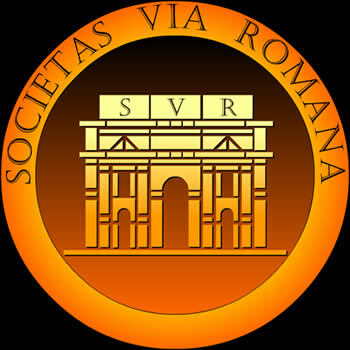 As for improving visibility, I suggest loading some reviews of Roman books, movies and board games on Amazon.com, with a link that leads back to SVR. Last edited by UrsusofUNRV on Wed Apr 29, 2009 12:20 am, edited 1 time in total. I would also suggest a facebook group and a myspace page for further visibility. What do you guys believe in? What do you stand for? What is your purpose? What is your vision? Reading through your threads, it doesn't really come across what you are trying to do. A lot of your membership seems bound up in Nova Roma, and a lot of the projects you mention on this Comitia page mention Nova Roman projects. And some of your threads, like the Sylla one, are basically soap opera style gossip on the underside of Nova Roma and its magistrates, which is worthy as a chuckle for a few seconds but becomes increasingly distracting and tawdry with each successful view. Maybe you guys know where Nova Roma ends and SVR begins - but as an outsider I don't. So I think SVR needs to ask itself exactly what it is trying to accomplish, and then go from there. Get a clear vision and work toward it. If you have a vision apart from providing a "safe refuge" from Nova Roma, I don't see it, and I think that is your visibility problem.